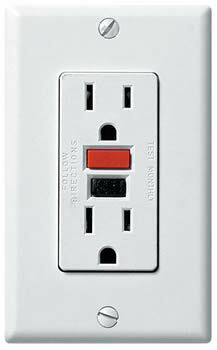 Two prong outlets are rather inconvenient, and can possibly pose a safety hazard. The third prong on a plug is designed to give a fault path in the event the hot wire, or device that is connected to should short out. The absence of a ground path can lead to a electrical shock. For example a metal light fixture could become energized on its exterior, and the lack of grounding will not allow the breaker to trip. The problem is that you cant necessarily just replace them with a three prong plug. If the wiring system is not bonded to ground, then that would be an illegal fix. A three prong plug tester will show "open ground". In fact it is a good thing you can do yourself. Go around and check every plug in your house with a tester. They are readily available, and only a few dollars. In some cases the wiring is grounded and they just didn't put three prong plugs, because they were cheaper. In many cases there is no wire, or other grounding path. Older two wire clothe wiring is not uncommon in houses 60 years old or so. It is likely that your old two prong plug is so loose that cords fall right out of it, or it is brittle and cracking. Either way it should be replaced. At this point you have two choices that are legal. Replace it with a new two prong receptacle is one. The other is replace it with a three prong plug, but only after verifying that you have a ground path. What if you do not have a ground, but you want a 3 prong plug anyway? The answer GFI is to protect the circuit. This can be done with a breaker, or a receptacle. It is possible for a single GFI outlet to protect the entire circuit that feeds off of it. The reason that this is legal is because the GFI receptacle can detect minute levels of leakage current, and open the circuit. In fact it does it a lot faster than the breaker would. This is why they are required near sources of water, or outside. There used to be a time where someone would grab a drill while standing in a puddle and get killed. With a GFI, they wouldn't even feel a tingle. It would instantly shut off power. You will probably need an electrician to figure out whether you can put in standard plugs, or if you will need a GFI. IF you do need a GFI, it needs to be wired correctly, and in the right location. At that point you can put a little sticker on each plug that says " No equipment ground", and it is legal. It will even keep home inspectors from raising a stink. This is a very big deal if you want to sell your house.